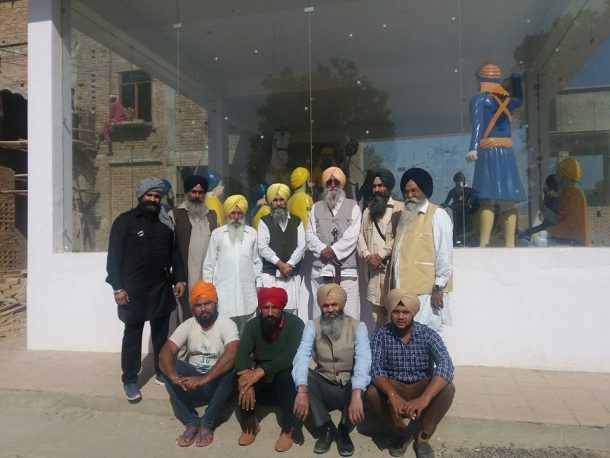 BATHINDA, Punjab—Following the ban on Sarbat Khalsa 2016, the Sarbat Khalsa appointed Takht Jathedars and other organizers will address their next program to the Sikh community from Gurdwara Baba Budha Johad (Rajasthan) tomorrow. Notably, the Punjab government had sabotaged the Sarbat Khalsa 2016 event by making statewide arrests of Sikh activists. Along with over 200 activists, interim Akal Takht Jathedar Dhian Singh Mand was also taken into custody. In a letter shared yesterday, Jathedar of Takht Sri Damdama Sahib (appointed by Sarbat Khalsa 2015) Bhai Baljit Singh Daduwal had directed the Sikh masses to gather at Gurdwara Budha Johad in Rajasthan. He said in the press note that the decision was taken as per directions of Akal Takht Jathedar Bhai Jagtar Singh Hawara to avoid massacre of Sikh masses by Punjab government. The press note recalls a similar decision in Sikh history when the Sarbat Khalsa called by Sikh martyr Bhai Mani Singh at Amritsar in 1737 was deferred after getting information about plan of Zakria Khan to massacre Sikh masses. Appealing Sikh preachers, representatives of Sikh bodies and common Sikh masses, Bhai Baljit Singh Daduwal has fixed the meeting time at 12 o’clock tomorrow. Meanwhile, President of Shiromani Akali Dal (Amritsar) S. Simranjit Singh Mann and other Sikh leaders have already reached Gurdwara Baba Budha Johad in Rajasthan.